Savage Neck Dunes Natural Area Preserve with its mile of Chesapeake Bay shoreline is special for its large bay-side dunes and associated plant communities, and because it supports one of the most important conservation areas in the world for the federally threatened northeastern beach tiger beetle (Cicindela dorsalis dorsalis). The diverse maritime plant communities on the preserve represent highly important habitats for migratory birds. The land was acquired with funds from the 1992 Parks and Natural Areas Bond and from the U.S. Fish and Wildlife Service. The preserve is open dawn to dusk. Part or all of the preserve may be periodically closed for resource protection or resource management activities. Please call before visiting during deer hunting season (November - December). Short hikes, birdwatching, photography and nature study. A small (3-car) parking area is located at the preserve entrance. 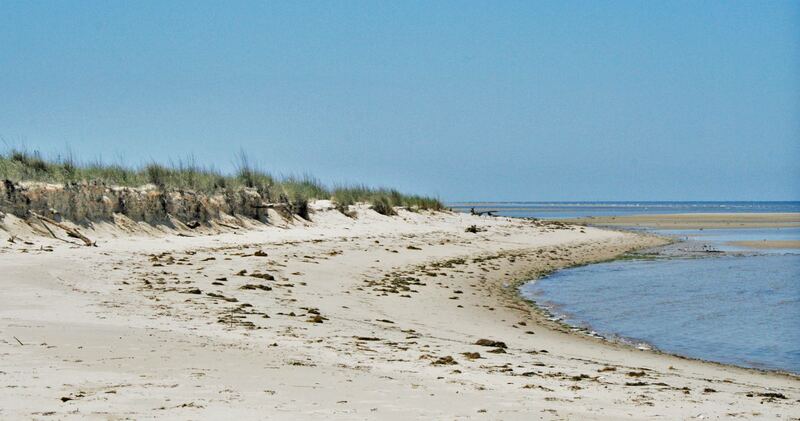 Marked hiking trails with interpretive signage are available, including a short trail through the highest sand dunes on the Eastern Shore. In the fall, the annual Eastern Shore Birding and Wildlife Festival provides a wonderful opportunity for birdwatchers to visit Savage Neck Dunes and see a variety of neo-tropical warblers and other migratory songbirds. Trails are level to gently sloping. Soft sand trail substrate in dune areas is not conducive to use of mobility devices.